At ASINVENT we have a panel of network engineers on board that is well-versed in designing converged and hyper-converged network structures for your organization. Our network solutions are designed on the latest technological to help our client’s maximizing the value of their current network infrastructure designs that not only cover your current needs but also possess a significant capacity to deliver to the requirements that may arise in future. As businesses continue to stretch their operations on a global spectrum, networking has emerged as the primary need for the organizations to ensure seamless operations with network efficiency, availability and high-speed connectivity. The efficiency of your network system depend on cabling, that serves as the ultimate backbone of your network system. 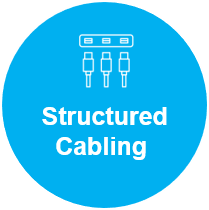 Using the Copper Cabling, Fiber Cabling and the Universal Connectivity Grid, we offer smart and efficient structured cabling solutions can support multiple Voice, Data, Video and Multimedia system. ASINVENT offers a full range of IT infrastructure and network cable installation services for commercial and residential customers. We are specialized in installations of low voltage structured cabling for Voice, Data, Video and Multimedia system. 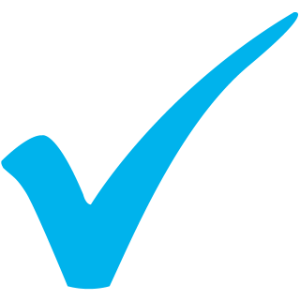 We help our client to implement the best cost effective solution while we ensure the highest quality. Network switches are no longer only devices for connecting users and resources in any organization. It’s the platform for delivering an increasingly complex technologies and applications. In order for the organization to remain competitive, the network must be easily scalable and adaptable to facilitate the deployment of new complex technologies. 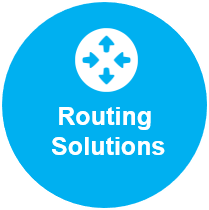 ASINVENT offers routing solutions for your network infrastructure, supporting a full range of technologies and applications, while providing the right equipment at the right cost. Using the advanced tools offered by leading manufacturers, our network engineers are well-versed with smart tools and technique to construct transparent bridging and dynamic routing designs for your network. ASINVENT offers routing solutions for your network infrastructure, supporting a full range of technologies and applications, while providing the right equipment at the right cost. ASINVENT offers a single, scalable, turnkey wireless solutions that provides security, reliability and up to 8 times the capacity of traditional 802.11ac access points to meet today's high density, high capacity demands. our wireless networking services include designing, configuration, implementation and maintenance services. Our wireless state of the art technology will help you to avoid unnecessary costs , common deployment mistakes and delays.